The quiet moments leading up to a wedding ceremony are some of my favorite times to photograph. There's no one demandning the bride's attention. There's no loud ceremony site or church full of people. 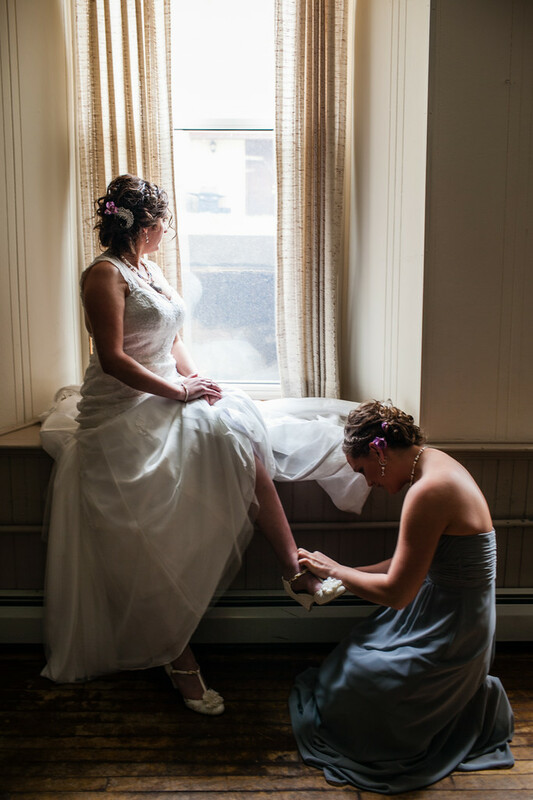 Just the bride getting help in the basement of her church in Princeton, Wisconsin with her shoes from her sister who was also the maid of honor. Thanks to the silent setting on my camera I was able to photograph this without interrupting. 1/40; f/3.5; ISO 200; 35.0 mm.